Ethan Happ had 16 points and 12 rebounds before fouling out late, and No. 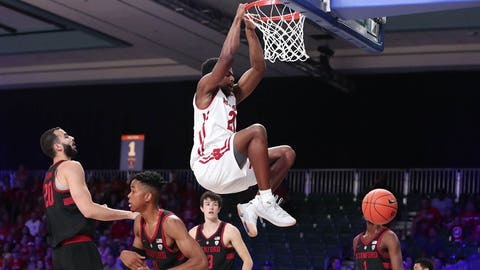 25 Wisconsin beat Stanford 62-46 in Wednesday’s first round at the Battle 4 Atlantis. KZ Okpala‘s 3-pointer pulled Stanford (2-2) to within 44-42. By the end of the game, though, the Badgers had scored 18 of the final 22 points to secure a semifinal matchup with Oklahoma on Thursday.